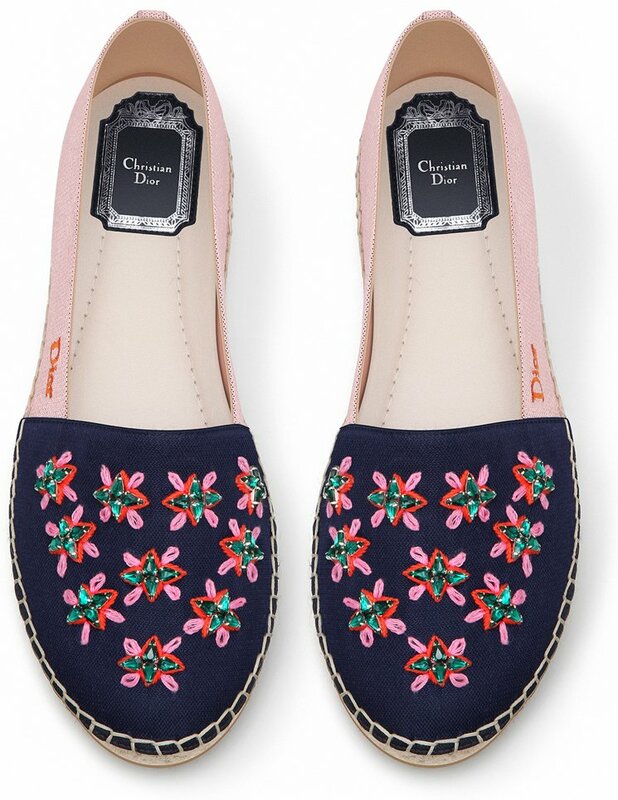 Espadrilles are must-haves – they’re comfy and stylish. Every fashion-obsessed are hunting for a pair and to make your life more miserable, we are going to present you some more Espadrilles to choose from. Dior likes to craft shoes that are different – the word simple usually does not exist in their vocabulary. 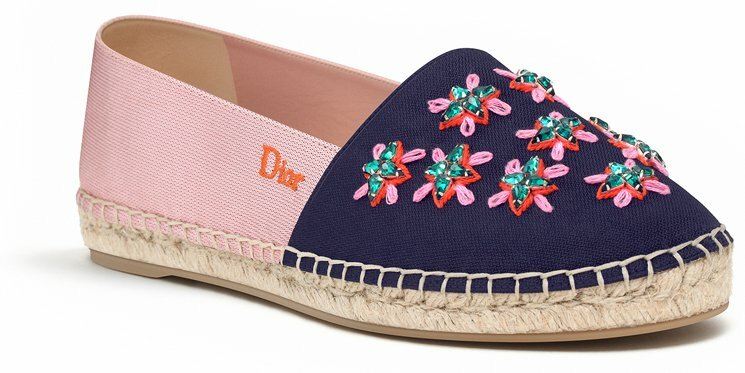 And if you look closer at these pair of Dior Espadrilles, you can feel the obsession for perfection – from the stitches to the crystal placements. Made from fabric, designed in bi-color and adorned with star-shaped crystal for the summery, casual and couture style. Though we’re heading to the winter, but you need to prepare for the summer before it arrives. It just makes your life easier right? The sides are stitched with the charming ‘Dior’ signature, it’s crafted with slim rope platform and rubber soles for the maximum comfort. These Espadrilles are beautiful and cute, so pick your favorite color. Priced at €590 euro, £470 GBP, ₩1,000,000 WON via Dior boutiques. If you need to dress like a rockstar, then Givenchy is the right spot. For the new collection, the fashion house has released series of minimalistic handbags and other accessories in single colors and all of them printed with a big ‘star’. And so for this chapter, we’d like to share with you a couple of insta-images. And some of the bags available are the newest Givenchy Pandora Chain Shoulder Bag and the famous Lucrezia Bag. And you can pick either the star in red or white. Givenchy is giving a ‘star’ to all its Classic handbags, we’ve first spotted the ‘star’ embellishment on the Lucrezia Tote Bag a couple weeks ago. For those that finds the Pandora Chain Bag is not exciting enough, it’s now printed with a bright ‘red star’ on the front for the attraction. It’s a cooler design to take on the mini bag trend that’s going on right now. Beautified with silver chain, which can be removed anything you want to turn this baby into a clutch bag or a wallet. 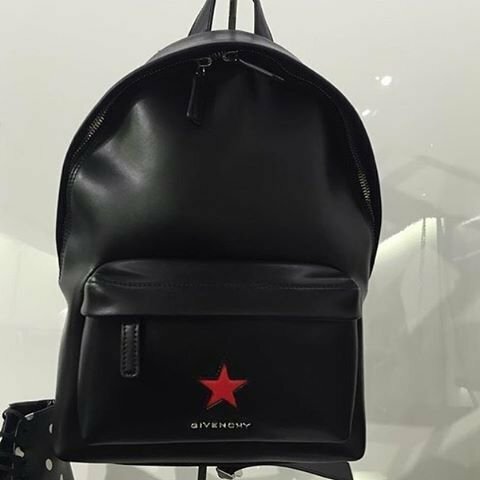 The logo of Givenchy is embellished on the bottom of the star. Crafted from strong calf leather and the interior is featured with internal slot pocket, six card slot and a compartment to store your coins and paper cash. Measuring 4.5’ x 7.5’ x 1.5’ inches (H x W x D), priced at $1210 USD. We don’t know about you, but we think that the Givenchy Micro Lucrezia Star Leather Bag is another bag you should add to your collection…and why not? It looks so good in all of its black and white glory – it’s adequately sized, too! Perfect for all of your day essentials, you’ll be sure to stand out like a star with this unique Micro Lucrezia. Givenchy’s totally going in a different (but exciting) direction with their designs, don’t you agree? Measuring 15.5cm x 20.5cm x 11cm (H x W x D), this piece has a detachable, adjustable shoulder strap that makes it such a joy to carry around. It also has double leather top handles and a top zip closure, which keeps all of your stuff secure. The contrasting color star insert serves as the piece’s main design element, which is quirky at best. With the brand’s metal logo lettering placed in front and an internal patch pocket, you’ll be getting more out of this baby…guaranteed! Priced at $1,425 USD or €1,150 EUR, you can get your very own Givenchy Micro Lucrezia Star Leather Bag via Luisa Via Roma.